The revolutions sweeping the Middle East in 2011 were unlike any the world had ever seen. Brutal regimes that had been in power for many decades were suddenly swarmed by unstoppable mobs of freedom seekers. Now, one of the key figures behind the Egyptian uprising tells the riveting inside story of what happened and presents lessons for all of us on how to unleash the power of crowds. 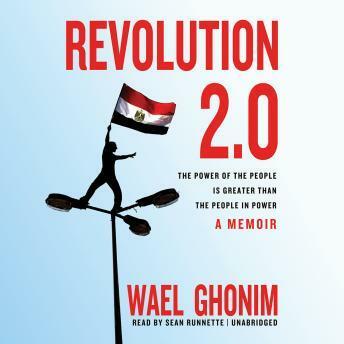 Wael Ghonim was a little-known thirty-year-old Google executive in the fall of 2010 when he anonymously launched a Facebook page to protest the death of an Egyptian man at the hands of security forces. The page's followers expanded quickly and moved from online protests to nonconfrontational public gatherings. Then, on January 14, 2011, they made history when they announced a revolution. Over 350,000 friends clamored to join. On January 25, as the revolution began in earnest, Ghonim was captured and held for twelve days of brutal interrogation—and when he emerged and gave a speech on national television, the protests grew even more intense. Four days later, Mubarak was gone. The lessons Ghonim draws will inspire each of us: Forget the past. Don't plan ahead. Let the crowd make its own decisions. Welcome to Revolution 2.0.